Everyone wants to find the best cremation urns with the most options at the best prices. But how do you do that and have peace of mind when shopping for urns online? Here are some tips to help you find the right funeral urn for your loved one. As you begin your search, you'll probably be overwhelmed with the array of options available to you. If you have an idea of what you want already in mind, you'll be able to narrow down those options fairly quickly. If you don't have an idea already of the type of urn you would like, you may want to walk through our 5 Minute Guide to Choosing a Cremation Urn. This will help you quickly determine the size, material, design, and use for the urn that will be best for your situation. Pay attention to where the urn is made. Most of our urns are made in the USA with premium quality. We have some premium imports, and this information is listed on each product page. Watch out for low-end imports - the price and lack of 'made in the USA' notes should tip you off when something is of lower quality than you may want. Look at the size of the urn. Most adult cremation urns have a capacity of 200 cubic inches, which will hold just about any individual who weighed up to about 200 lbs. "Keepsake" urns are generally smaller versions of the same urn that holds a smaller portion of remains, while "Companion" urns are large enough for the remains of two people. Are you looking for an urn to go into a niche? Be sure to get the dimensions of the niche from the funeral home, then compare those to the exterior dimensions of the cremation urn. If you need a very particular size, we can make wood urns to fit into your niche. Just ask! Once you've narrowed your search a bit, make sure you read the product reviews. This will help you eliminate flimsy or cheap urns, sellers with poor customer service, or lengthy shipping delays. Reviews can also help you tell the difference between something that is nice, and a memorial that is truly gorgeous. 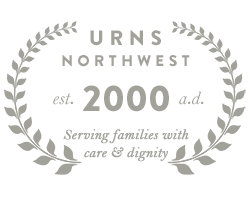 At Urns Northwest, we're very proud of our reputation for beautiful products and excellent customer service. Here is a brief video showcasing some of our favorite customer reviews. User-generated reviews for each product are available on each urn's product page, and if you want to turn back the clock a ways you can see customer testimonials imported from our pre-modern website days here. Some of these testimonials date back to 2001 - we've been around a while! Nothing will give you peace of mind quite like talking to a person on the phone about getting your order just right. There are many factors involved in purchasing a cremation urn - maybe you need it delivered by Friday for a memorial service, perhaps you're looking for a particular type of wood, or you may want to double-check that the personalized inscription comes out just right. And sometimes it is just nice to talk to a person who will answer your questions, confirm your order, and clarify the details of production and delivery times. Whatever your need may be, peace of mind is important and a good seller's customer service team can help give you the assurance that you have found the perfect funeral urn for your loved one. If you're already contacting the seller, whether via email, phone, or online chat, you may as well get all your questions asked. What are the dimensions of the urn? Can this be delivered by next Tuesday? Can we get the urn personalized? How does the urn open? Does the companion urn come with a divider? Should it? Can this urn go on the airplane with me? There are tons of resources available (here are over 150 from our blog), but you probably don't need the answers to every question ever asked about urns - just yours. Contact us here. Always check the return policies when ordering online. 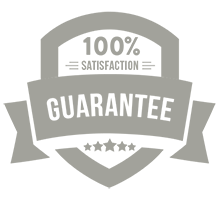 You want to make sure that if there is an issue with your order, the seller will take care of it in a timely, effecient, and professional manner. Most return policies for cremation urns note that if you personalize the urn with laser engraving, you will not be able to return the urn should you change your mind. Most companies (ourselves included!) will take care of any issue regarding quality or damage in shipping (both of which are rare), regardless of whether the urn is personalized or not.